The last post discussed how researchers are learning that diet foods make us fat. Today I want to explore a similar topic, this time regarding the issue of dietary fat itself: does fat make you fat? Read all posts on this topic of healthy fats. If there is ONE thing I want to get across to you through this blog, it's the fact that healthy fat is needed for our bodies to be well! I know, I know, you've been taught that for so many years, it is very difficult to wrap your brain around the fact that it may all be a farce, from someone like me no less – you must wonder how I could dare to make such a claim, but I hope you'll keep reading so I can attempt to convince you. First, what about saturated fats, cholesterol and heart disease?! From “The Truth About Cholesterol and Fat“: Does fat make you fat? What are you putting your fats ON? So which fats are healthy? As with anything and everything you see on this blog, be sure to do your own research and talk with your doctor before you make any drastic changes in your life. I don't know what your specific health issues might be and I don't know your health history. However, don't JUST talk to your doctor without researching it yourself, too. Most doctors' main area of expertise is in the field of medicine. I'm not saying that is all bad, but nobody can know everything, so what would be especially helpful is if you had a doctor who is knowledgeable about the natural ways of looking at things, too, and who doesn't necessarily use medicine as a first line of attack. If part 1 doesn't convince you, be sure to read part 2! Cholesterol meds – what about LDL & HDL? Dr. Mercola: Why don't the French get fat? Read these Q & A’s from the Weston A. Price site: “Some typical questions and misconceptions on fats and oils.” Here's an excerpt: Butyric acid is found almost uniquely in butter, so it is not surprising that this innocent fatty acid is singled out for heinous crimes. Butyric acid has anti-microbial effects and feeds the good flora in the colon. Likewise lauric acid, found in large amounts in coconut oil, and myristic acid, found in butterfat and certain other animal fats, have roles to play in the body–especially lauric acid, which has antimicrobial effects and plays a role in signaling processes. Butterfat and coconut oil are competitors of the powerful vegetable oil industry, so it is wise to be very skeptical when you hear claims that these fats cause disease. Sorry to burst any bubbles, but fat will definitely make you fat if you consistently eat huge amounts of it. I once administered a ketogenic diet for seizure control. The patient was losing way too much weight, as is common with a keto diet. Upon adding an abnormal amount of healthy fats to the diet (on the advice of dietitians at Children’s Hospital), the unwanted weight loss stopped immediately. Fat, of itself, probably won’t make you fat, but absolutely nobody eats nothing but fat. As was stated in another comment here, a lot depends on what you combine it with: i.e., buttered bread, buttered oatmeal, buttered noodles, plus butter- and sugar-heavy desserts, etc. That sort of eating will lead to obesity and poor health. Moderate consumption of fats is good. The human body does require some fat for optimal health, but it’s NOT okay to go overboard with it. Here’s the thing though Shary, most people wouldn’t go “overboard” with fats, because they naturally fill us up and make us feel satisfied. As you said, nobody eats only fat. Three million years of human history?!? I’m a heart patient and like what I’ve read here. In fact, I just started using coconut oil only about 3 weeks ago when I saw a video about how it helps alzheimer’s. I clicked on your link: “Why Butter Is Better (notice the many references listed at the bottom of the article at this link):” but there was nothing there….I think the info has been taken down. Did you by chance copy any of the info? If so, can you send it to me. I’m going back to butter, whole milk. I’ve had valve replacement surgery….genetic….did it when I was 50. I’m turning 63 this year. I’ve had 4 angiograms since and everyone of them yielded the same result. My arteries are “pristine”….the same description from 3 different cardiologists. My cholesterol has been high ever since I’ve been checked. I have long thought that the interpretation of cholesterol tests was in error where I was concerned and all the info I picked up from your site has convinced me. I watched a whole bunch of other videos on YouTube which were related to the one you have posted on your website. I’m not surprised the government is responsible for steering us down the wrong road…..I feel the same about Global Warming. Despite tons of evidence to the contrary, they keep insisting it’s real….nonsense in the case of G.W. and nonsense in the case of fats. I just fixed that link (thanks for telling me) — all the WAPF links from before they redid their site are broken and have to be fixed, it drives me crazy. sorry medical technologist…hehehe I was thinking of a different phrase…hay!! Its best to eat, poached eggs with the center still soft and runny. Ive been on a high protein diet for a year now, not eating carbohydrates at all. Including potatoes, rice, pasta or any other flour products. I only eat red meat, fish and shell fish,NUTS and lots of vegetables and lots of fluids. I got used to it to the point that eating rice or bread, makes me wanna puke. I lost alot of kilos from 57kgs to 43.kgs without any complications. And now I am back to eating small portions of rice, without worrying about getting back all those stubborn fats. Where i got my energy? I dont rely on carbohydrates for this anymore since I had all these stubborn fats to metabolize. Being on a high protein diet, I had to eat fats coming from butter, cheese, milk..all the stuff I loved! Runny egg yolks yes!Now that I do not have any stubborn fats to metabolize anymore, I had to slowly incorporate carbs into my diet now…But this time I will not overdo it, because I know for a fact that eating lots of carbs will be stored as body fat if I do not utilize it as an energy source. I dont know if my input is going to help anybody for it was mentioned above that “everyone is different”…Dont be afraid of eating too much protein, I asked my doctor about my diet and he says theres nothing wrong with it. so if it suits anyone, do as i do… “ketosis” is when you have metabolized fats”ketone bodies) in your urine,In diabetics, this is a state of “HUNGER”- no sugar in blood, thats why the body fats are metabolized for energy and food. It is not harmful being in a ketosis state. Drink lots of fluids! goodluck! Hi Kelly, Thanks for all this information! I was looking for information on whether fat makes you fat. I got so much more than I barganed for and I think I’ll be thanking you later. I am on Weight Watchers and have been “addicted” to that I Can’t Believe It’s Not Butter spray. Well….I had to go to the store to pick you some scallions, and while I was there, I bought some organic butter and am throwing away the spray stuff. Thanks for the insight….and hey….I betcha my taste buds will be happier too! (of course I’ll have to be cautious with portions…but I can do it!). Sorry for rambling…and thanks again! Hi Kelly! Thanks! I’ll check that out. You know…I was looking for information for an article I’m writing about fat…..I thought I was going just be learning something about that calories, not fat…makes you fat. WOW….did I have alot to learn, from your site and some others like it. Then I was on WebMD…and there they were toting canola oil as healthy…yikes! I have already learned as I’ve been researching other things, that you can’t trust the corporations or the FDA. We have to fend for ourselves to get good information just to get healthy (so thank you for the info you provide here!)! 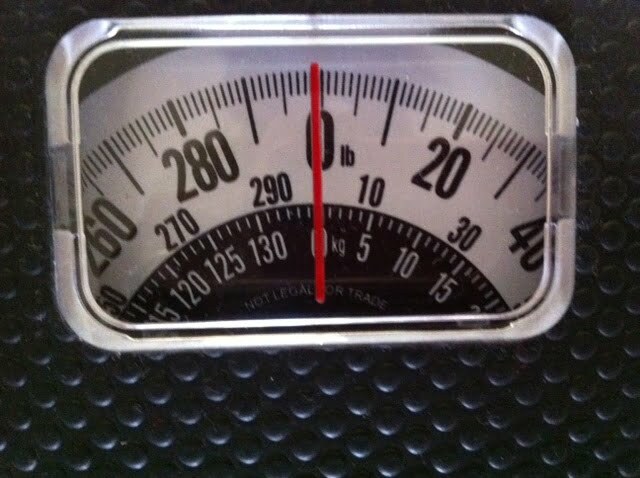 I’m trying to get my health back, I was at 347#, but now am at 290# and losing. I’ll get there…but with information like what you have provided, maybe I’ll have a fighting chance….and a little tastier too…let’s face it; I CAN believe it’s not butter! I just have to get out my teaspoon and measure, measure, measure! Thanks again….and love your site and love your writing you keep it fun, even though it’s heavy stuff. Eric, I know you want to lose more weight but keep in mind what Sally Fallon has said, “The problem isn’t how much butter you’re eating, it’s what you’re putting your butter ON.” I tend to agree. If you’re avoiding sugar and refined carbs, and going very easy on even the good carbs, then you don’t have to be so careful about portions of the good fats like butter, lard, tallow, and coconut oil. As a matter of fact, these fats keep you full, so you don’t binge on the starchy carbs. You’re welcome, sorry to make your brain hurt, LOL! I do remember that feeling well, though. I did measure it as I’m a bit OCD, but I did take your advice as far as having it on my brown rice and broccoli….and was sooooo tempted to have a slice of whole wheat bread (vehicle for more butter), but didn’t want to have an additional carb when I was already having rice….but Kelly, OMG! I haven’t had real butter in so long. Yum. Been reading more that you have here and I’m looking forward to cooking with coconut oil and I’m interested in trying ghee too. I cook with alot of olive oil, but will be more careful with that and the canola….I threw it out. Just starting. I know I have alot to learn and we’ll see how the weight loss goes. I am down over 50# so far, but have lots to go (ramping up the exercise as well). My goal is to be at goal next summer (I’m 290 now and my goal is 175), and to climb Mt Monadnock in NH next summer as well. I haven’t been able to climb it in about 6 or 7 years. Anyway…I’m starting to ramble. Would love to share my story …. we’ll see how it unfolds! And…butter, butter, butter! Oh…and what you said was right….what I had was enough and I was satisfied. @ Eric: Oh man, I had to laugh when I read your comment about the I can’t believe it’s not butter spray. You’ll have to go to YouTube and look up James Gregory – he’s a clean comedian who talks about this. It’s hilarious. Checked out James Gregory….and, as a guy who sprays (well…who did spray) his butter…..um…yeah….there will be no grandkids! Sorry….couldn’t resist, I caught his “Typical American Lunch” video where he talks about the “butter mist” HAHA! Tonite’s my first night with “real” organic butter. I’m a little nervous about willpower and portions, but I’m down over 50# so far, so…I can do it. So, if I eat butter on a thin slice of buckwheat bread, I will put on weight? Do I only eat it with vegetables? Everyone is different so you have to figure out what works for you. Some give up grains for life, others give up just the refined stuff or only eat properly prepared grains and do fine. Either way, adding butter to whatever you’re eating is always a good thing, and tastes great, too! We can’t afford all grass-fed right now either, so I buy it now and then. In between we buy butter that is pasteurized and from a local farm that we know uses no hormones and that they’re out on grass at least sometimes. Butter is so good for you that I suggest you just go with the best quality you can find and can afford, with a goal to buy the better kinds when you can. Egg yolks and oxidization…I haven’t gotten a clear answer on this one so I go with common sense. People have cooked their eggs for ages, so I feel confident it’s OK. The very first question on the Q & A here in this link answers the question about eggs and oxidation. My Norton is telling me that this is an unsafe web page to go to. Mine just did that too when I tried it, so I did an “override” (told it to go there anyway, because I knew the site was good), and it was fine. It may have something to do with the glitches they’ve had since they tried to switch their to their new site a few years ago – they had trouble with dead links, etc. Hi, Kelly, this was linked somewhere recently – I can’t remember! I love exploring your site, even on CHRISTmas 😉 while my kids are napping. Two wonderings: someone asked about whether cooking an egg yolk turns it into oxidized choleseterol – any ideas? Also, re: butter – I love it. BUT paying for grass fed is quite beyond us right now, at least in the quantities we like to consume. It’s something like $11/lb and at Costco it’s more like (fluctuates) $1.50/lb. SUCH a difference. So, what drawbacks are there to the grain-fed, conventional butter? It’s still worth using it as a fat, right? Or are we getting super concentrated toxins from the conventional feed, abx, and hormones. Wow, to type that out makes it really sound bad, but $11/lb is REALLY not doable. Raw, grass fed milk is about $6.50/gal, and that’s only about three times what we’d pay for conventional, but the butter is much much more. Thanks for any thoughts 🙂 and Happy Jesus’ birthday! Looking forward to hearing what you find! Great question and you’ve got me in “sleuth mode”, I’ll either reply here or post on this as soon as I get some answers. Be patient, I’m having router issues…it’s always something!! Doesn’t cooking an egg turn the cholesterol in the yolk into oxidized cholesterol? Great topic, Kelly. I think too many people (including some researchers, dieticians, and doctors) fail to realize that dietary fat is not the same as stored body fat. The body can and does store fat in fat cells from dietary carbohydrates (broken down into sugars, then converted into triglycerides); dietary or body protein (converted into glucose, then into triglycerides); and dietary fat (broken down into fatty acids), but fatty acids from dietary fat is be stored when insulin is also high, not when it is low. The key to storing (and not being able to access stored fat for energy) is raised insulin production, which is a direct response to dietary carbohydrates. There is also an enzyme, produced by carb intake, that is necessary to dismantle the triglycerides outside the fat cell so they can get across the cell membrane, as well as re-assemble the triglycerides inside the fat cell. Eat fat without many carbs (like butter on non-starchy veggies, and it can’t be stored in fat cells. Not the same for bread on butter (Like Sally Fallon says, watch more about what you put the butter ON). Excess dietary fat will either be burned for energy or burned off as heat (thermogenesis). Eating enough protein is important. If not enough is eaten, then the body will convert muscle and organ protein into glucose for fuel and that can raise insulin somewhat . Too much dietary protein can also indirectly raise insulin. Of course, it bears reminding that animal proteins come without many carbs, and plant proteins are quite starchy. Also, fat and protein are essential *structural* building materials for the body. Dietary carbohydrates are not (only used for energy). Since I have cut carbs as much as I can without reducing non-starchy veggies, I have been making sure I get enough protein without overconsuming protein, and making a conscious effort to increase the amount of fat I consume (primarily saturated, but the home-rendered lard I am using lately is also high (about 45% ) in monosaturated fatty acids. I’m using heavy cream in my coffee and cocoa; high fat coconut milk, cream, & whole egg baked custards for dessert; vegetable gratins with ample heavy cream and cheese; fattier, bone-in cuts of meat instead of lean skinless, boneless cuts; etc. I’m finding fat to be a great energy source, good for my skin, and my weight has dropped almost 5 pounds in the past couple of weeks (mostly from my middle). I also haven’t had a cold all winter. It’s really great to read more people who think old-fashioned fat is a good thing. Thanks, I’ll check that out. Of all the local ones I’ve tried the one that I like the best is Sundown brand. I know there is more to it than just which sits the best with me so I’ll go off to read your cod liver post. 🙂 I wonder if there is a connection between tolerance and quality. My cholesterol skyrocketed due to chronic infection. I don’t have the research links, but my doctor explained that it has a role in fighting infection. However, with a long-term chronic infection it goes up and stays up – which is not good. Each month it went up and when it hit 270 he put me on Crestor. After a few years of this I made a deal with my regular doctor to get off of the drugs… I take 8 fish oil pills a day to replace the Crestor. I look forward to the other posts on this topic. The article tries to provide good information but the presentation style has more pun than information itself. Author may need to take care of this in his future writings.